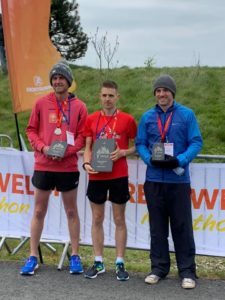 Spirit of Monmouth runner, Rich Foster (right), produced a remarkable performance to achieve a podium finish in the Great Welsh Marathon in Llanelli on Sunday. Rich’s personal best time of 2:49:05, in breezy conditions, was enough for a superb 3rd place. Unsurprisingly, this was also enough to be first first veteran runner. Absolutely brilliant run Rich. Congratulations. 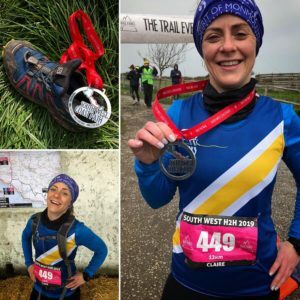 Kymin Dash… What an event! 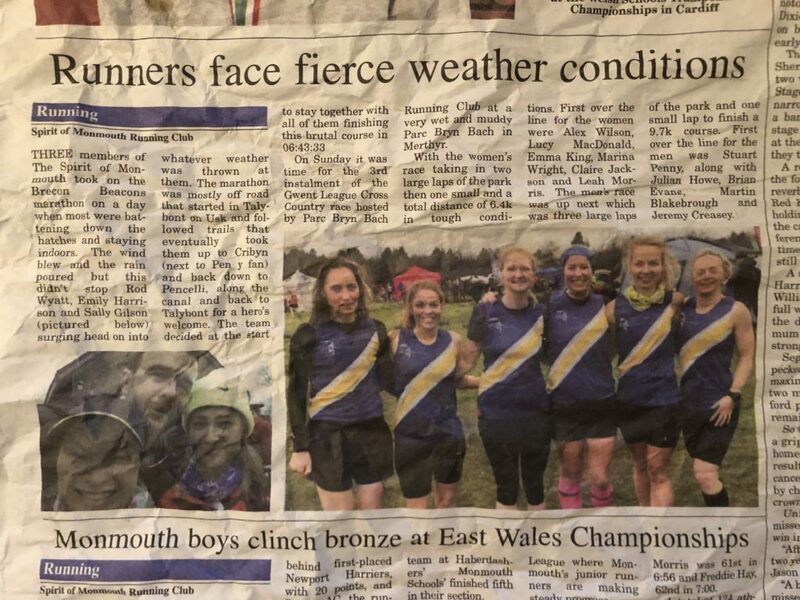 I think we’re all super proud to have put on such a great race – with particular thanks to the race committee who invested so much time in making it happen. 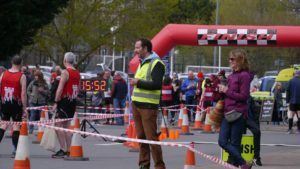 Results can be found through the Kymin Dash page on this website – with an open Kymin Dash facebook page also available there, which has loads more photos and stories. 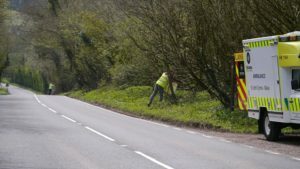 Plenty of work goes into making these events a success. 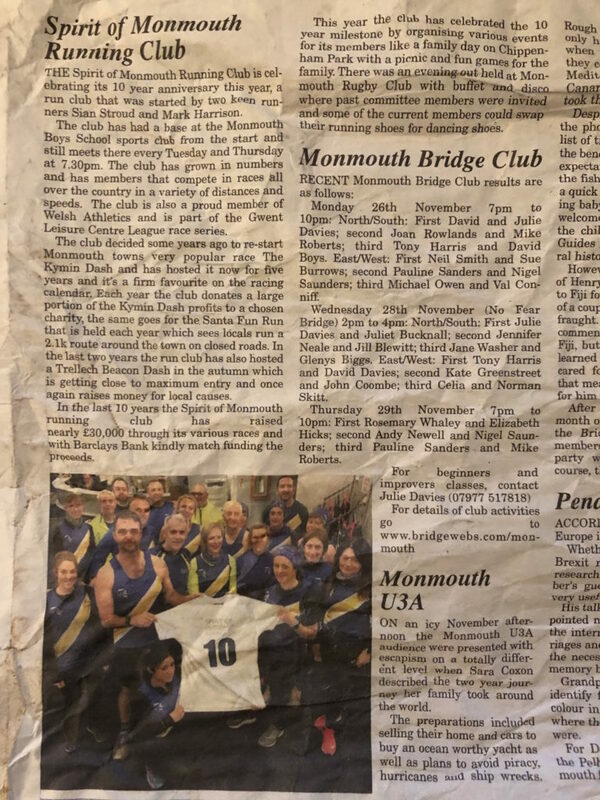 It was great being part of it. 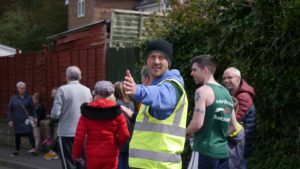 Spirit Park Run – 13th April. 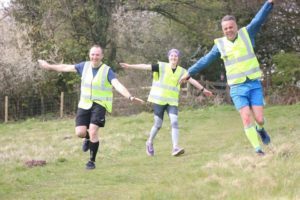 Steve McMenemy’s idea to have a monthly park run, where we’re all invited to meet up a nominated park run, got off the ground with a trip to Pontypool (pic below). 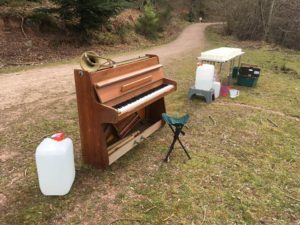 This is going to work! Second Saturday of the month, unless stated. 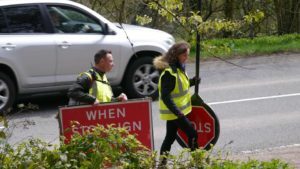 Manchester Marathon, Offa’s MT 10K, Magnificient Eastnor Castle 7, Devon Coastal Trail. 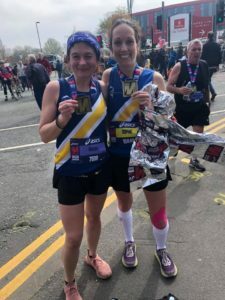 At the Manchester Marathon, there was real elation for Karen Barratt, who has knocked loudly on the door to a 4-hour marathon several times but today smashed through it at the seventh time of asking. 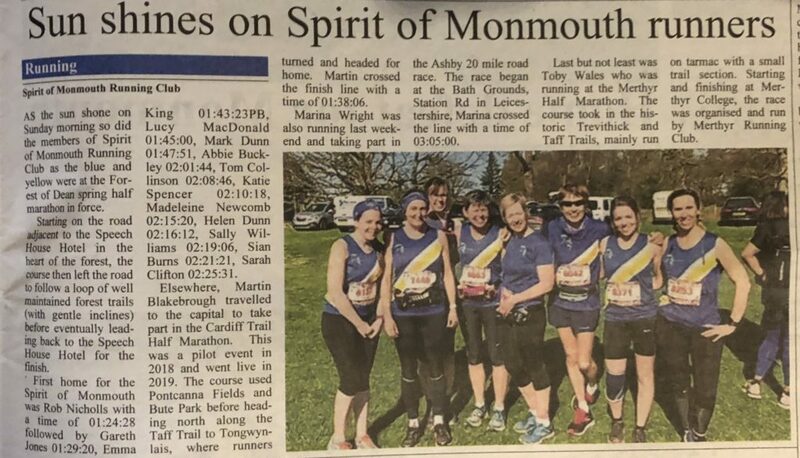 Alongside her, Sophie Williams also had a fantastic day, slashing 19 minutes off her previous best to also beat that important 4-hour mark – the two Spirit of Monmouth ladies clocking 3:57 and 3:55 respectively. 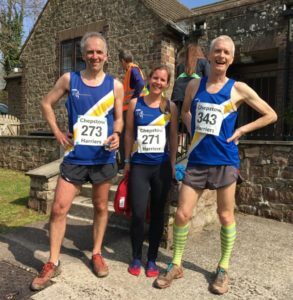 Closer to home, four Spirits raced the tough Offa’s MT 10K event, organised by our friends at Chepstow RC. Stuart Penney ran superbly to take 3rd place overall, and clearly fastest in his age group. 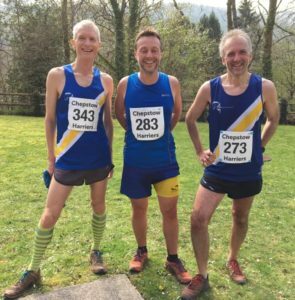 Nerys Chaplin, Jeremy Creasey and Mex Gaillard all ran really strongly to claim second place in their respective age-categories, and this was enough for the three men to take second place in the Male Team standings. 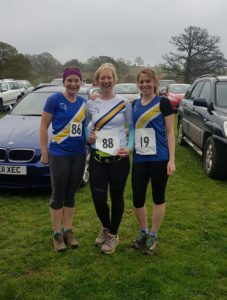 Three other tough races saw Lucy MacDonald, Cathy Fletcher and Sally Williams take on the Magnificent Eastnor Castle Seven; an undulating 7 miles rural course over footpaths, tracks and through woodland culminating in the ‘Orrible’ climb to the Obelisk! Lucy was 4th woman home and Cathy 12th out of a field of 53 women. 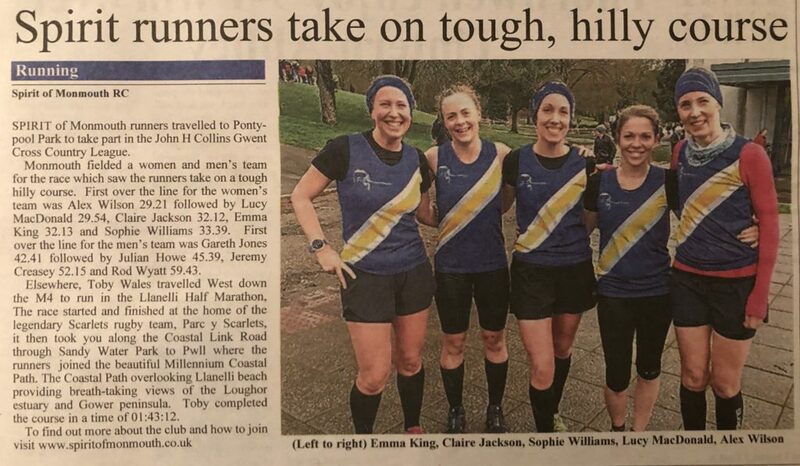 Down in Devon, Claire Jackson also took an excellent 4th place in the rather hilly Devon Coastal Trail race and new club chairman, Toby Wales, clocked 1:41 in the Devizes half marathon. 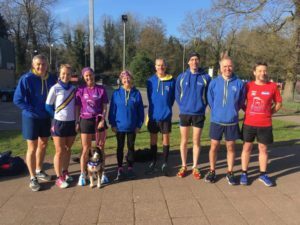 Forest of Dean Half Marathon, Cardiff Trail Half, Ashby 20 & Merthyr Half.